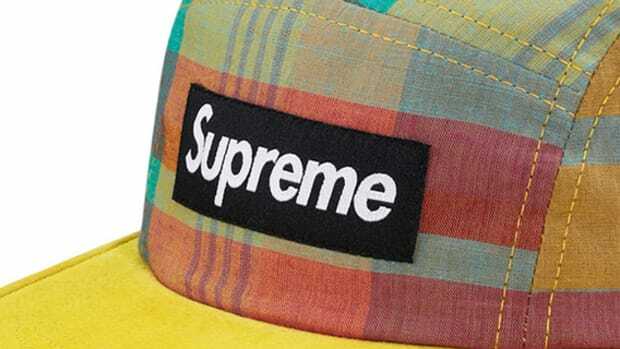 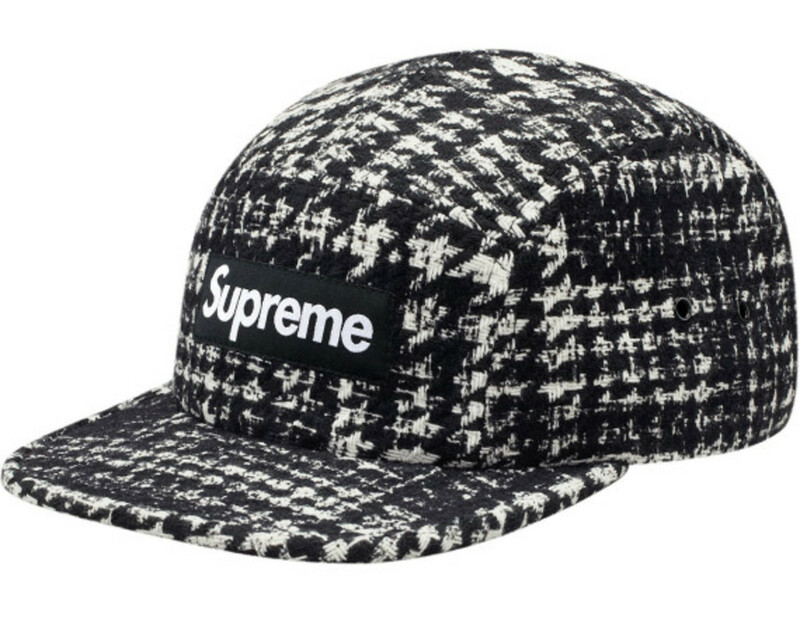 A traditional pattern that&apos;s covered coats and scarves throughout menswear history, houndstooth is used to punch up Supreme&apos;s latest delivery of its always popular camp caps. 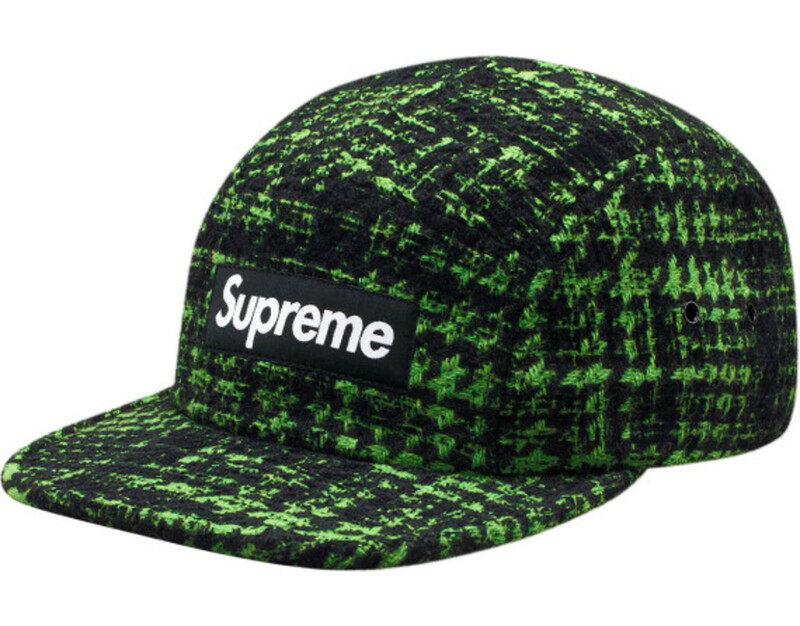 The hats feature wool fabrication highlighted by houndstooth in a broken, oversized fashion. Available colorways include a basic white and black style, in addition to a non-traditional pink and green that act as a counterpoint to the gentlemanly pattern. 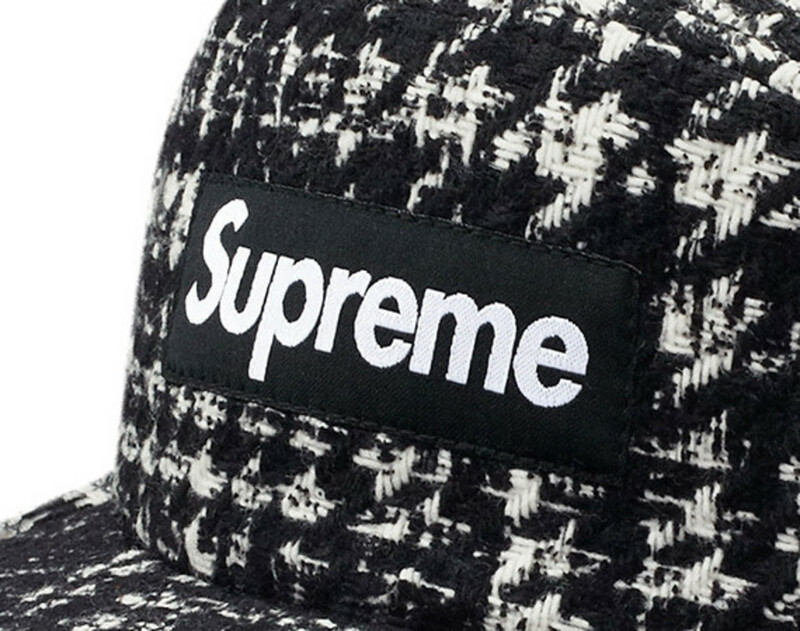 Supreme&apos;s signature box logo in black and white is the finishing touch. 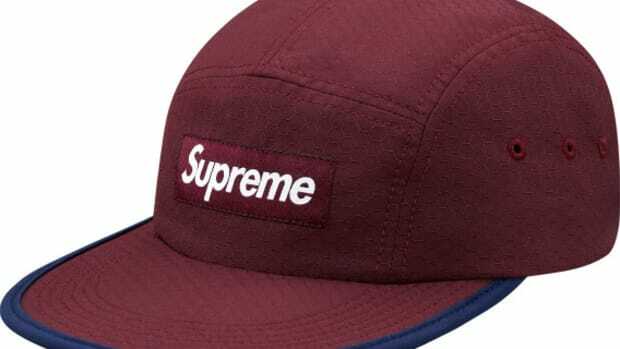 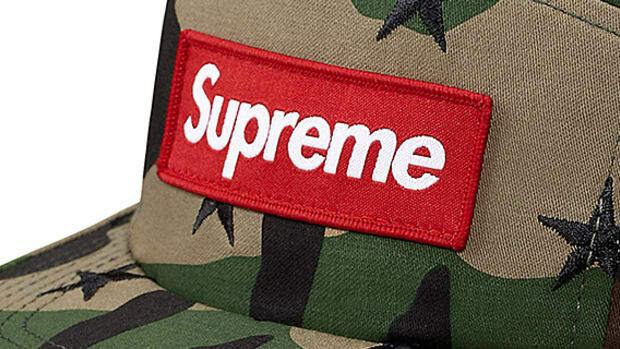 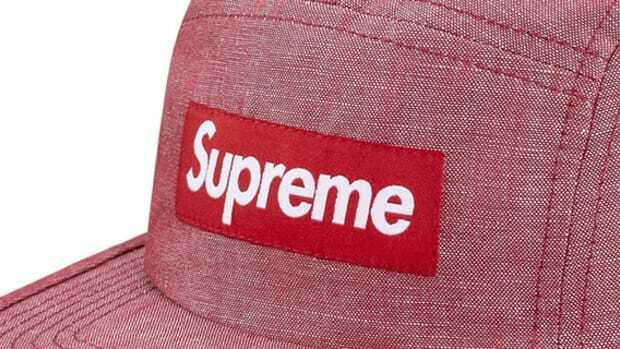 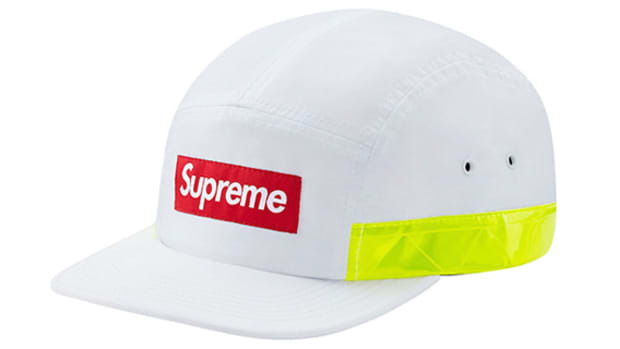 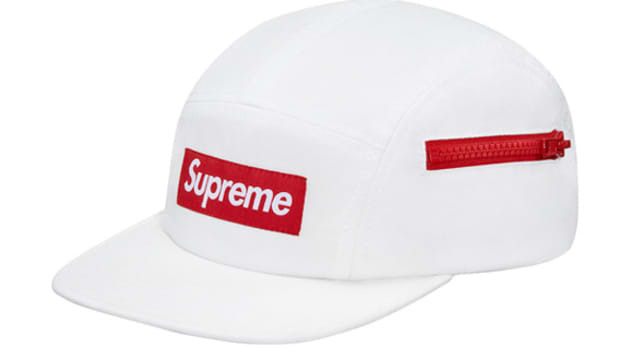 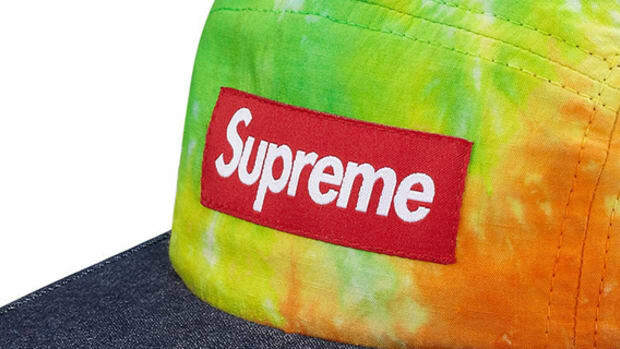 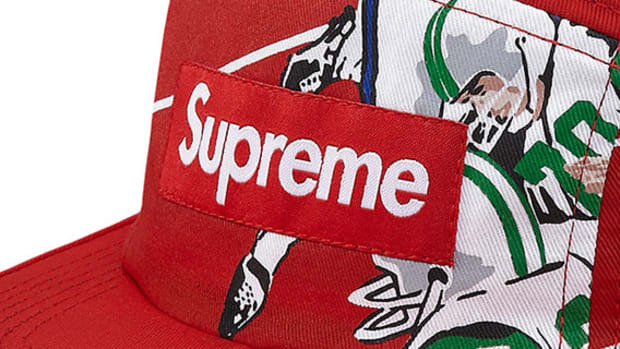 Cover your head in style and pick up the cap now from Supreme stores and online, but remember to resist Supreme overkill -- i.e., never wear more than one box logo at a time.